Where Rex blogs it's Christmas everyday! 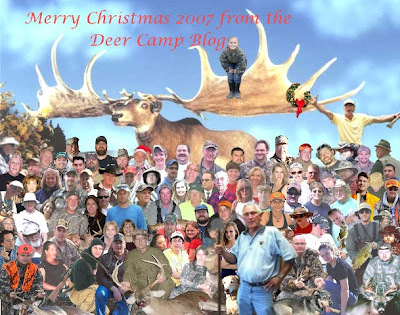 The Deer Camp in question is at the Christmas Place Plantation Hunting Club, on the edge of the Mississippi Delta. PS in case your wondering I'm four up and one in from the bottom right corner, wearing the hat.